As I'm sure anyone who doesn't have an iPhone will agree, finding a phone case is a tricky task. I have a Samsung Galaxy S3 and it's rather hard to find a pretty yet practical case, as it seems like all of the big retails favour iPhones. Recently I was offered the opportunity to create my own phone case with the brand Mr Nutcase. They offer custom phone/tablet/kindle cases (for a large range of manufacturers and models including Apple, Blackberry, Samsung and HTC) using a simple but brilliant design process. There are three different syles of cases available to personalise so you're sure to find something to suit you. Designing the case is simple. You can choose from a selection of premade collages and then drag and drop your photos in. Alternatively, there's a range of snazzy designs you don't have to personalise ready for you if simplicity is more your cup of tea. You also get to preview your case before it's added to your basket so you can make any changes as and when necessary to ensure that your case is the bee's knees. I went for quite a Ultra Light Weight Slimline case (retailing at £14.49), using a single photo template and a lovely photo from tumblr. The sides of the case are clear which give the impression, from the front, that there isn't actually a case there at all, and the case fits the phone like a glove. It clips on perfectly and stays put no matter how much your phone is bashed around in your bag. When the case arrived I was instantly pleased with the quality of the photos. It really is flawless. The case feels very durable and (based on when I accidentally dropped my phone yesterday) seems to be relatively scratch-proof, which is great as scratches were something I was worried about because of the cases' semi-matte finish. And just when you think Mr Nutcase can't get even more splendid, they offer free worldwide shipping; how fab! 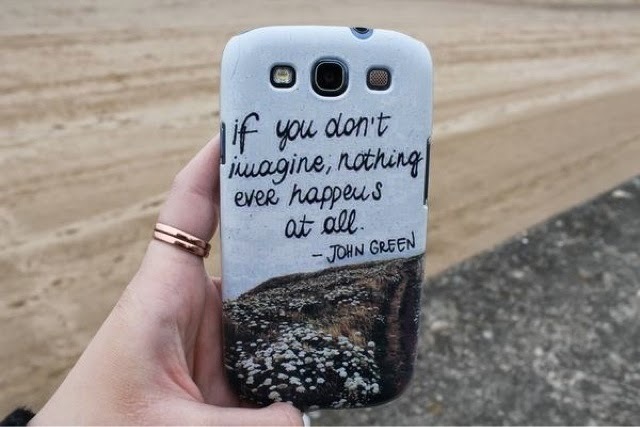 Overall, I would completely recommend Mr Nutcase for all your phone case needs; I was really happy with the whole process from start to finish and I couldn't fault the company at all. Over the last week or so I have recieved so many compliments about my phone case, and that's aways nice to hear isn't it? As a special little gift from me to you I'm able to give you a 10% discount if you choose to purchase a case from Mr Nutcase. Just use the code "Thanku10" at the checkout and enjoy your new case! *Disclaimer: This product was kindly gifted by Mr Nutcase for the purpose of this review. All views and opinions shared on realityleaveslotstoimagination are always honest and unbiased.